Ever get a present that seems daunting to put together? 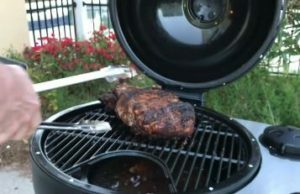 We figured the Weber Q 220 Unboxing may help. The Weber Q 220 portable grill came in a big box and a second biggie came with a grill cart for the stand with wheels. Check out the video HERE for the unboxing (youtube). Overall the challenge of putting it all together wasn’t too bad. The Weber Q 220 Unboxing took about thirty minutes. The plasticky (in a good way) stand took another thirty minutes. Total time was about an hour. I’m sure if you really focused in you could get it done faster. I stopped for a beer :). As you can see after the Weber Q 220 Unboxing I was able to quickly fire up a hotdog. I’ve since grilled several steaks and burgers. I still feel like I’m not getting as strong or as hot of a flame as I think I should. Next step may be to try to return the reulator attachment (some other online reviews give props to Weber for good support on this). I have had sketchy regulators in the past and my conclusion is that they are all maybe a bit too safe for safety purposes. The Weber Q220 works great with or without the stand (looks pretty nifty with or without too). Extra note if you plan to try to use the Weber Q with a larger propane tank as I do in the video you will need the special adapter hose. Purchased separately. 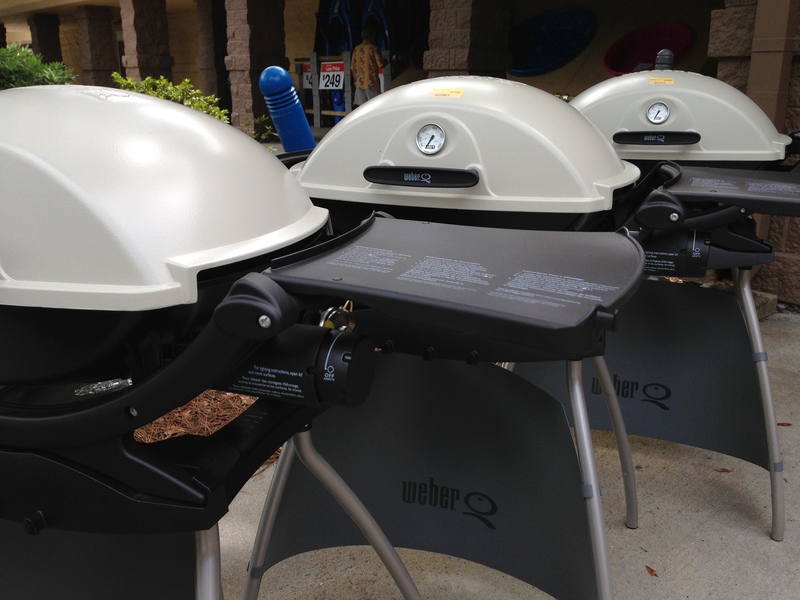 Overall – and a really very simple Weber Q 220 grill with easy assembly. The conclusion is it’s a nice form factor that’s well constructed. It’s sturdy steel where it matters and plastic most everywhere else (nice for grimy ‘que cleanup). 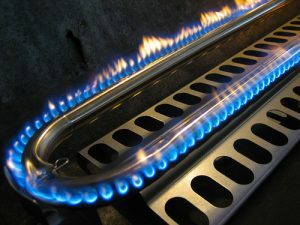 It’s happened to a lot of cookers… GAS issues! Not what you may be thinking but it could also happen to you! You’re in the homestretch of a day of prepping for the cookout. Chicken’s on… and the gas on the… grill is… slowly… dying. 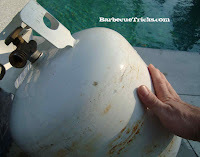 Running out of propane is easy to do because it’s so hard to see through metal! (Although I have seen some transparent plastic tanks recently that look great.) Most of us don’t have a gas gauge either. ide). 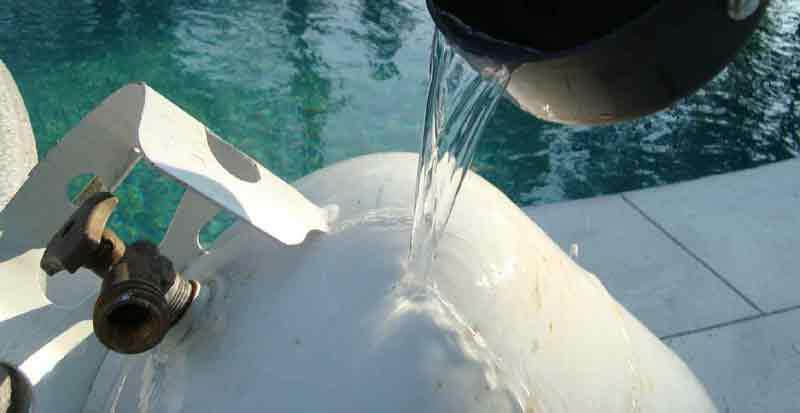 Make sure you have enough hot water to gently heat the SIDE of the propane tank in question. Tilting the tank on a bit of an angle, pour the hot water up and down the entire side of the tank from bottom to top. Not too hot on the water (nothing that could get dangerous) just warm enough so you can tell a difference. The level of liquid propane inside can be determined by feeling the new temperature of the tank with your hand. Where your hot water has succeeded in heating the tank is where it’s empty. Where the tank is noticeably cooler is where you have some remaining liquid propane. If there is no noticeable difference you’re probably all out. CLICK FOR VIDEO There’s something about a rotisserie chicken. They’re everywhere these days in supermarkets – slow roasting by the dozen on display in industrial cookers the size of your guest bedroom. But the truth is if you have a rotisserie kit (it may have come with that fancy new grill and is now in a box in the attic somewhere) it’s actually pretty easy. Every attempt we made with our gas powered Sam’s Club spit and electric motor set up ended with incredibly succulent and golden brown bird. There’s only about four ingredients. Here’s an updated video overview using turkey: http://youtu.be/xqB5mLKevxI First start with a clean bird – Chicken and small Turkey seem to work equally as well. Rub lightly (watch for too much salt) with BBQ Tricks house seasoning UNDER the skin and over the entire outer surface of the skin. Rub seasoning generously inside the cavity of the bird (remove any “spare parts.” Let the bird rest (upright if possible) uncovered in the refrigerator for about four hours to allow the seasoning to take and also to dry the skin a bit (this helps to crisp the skin later). My hunch is you could bypass all the above and still have an incredible meal but the little things do make a difference. 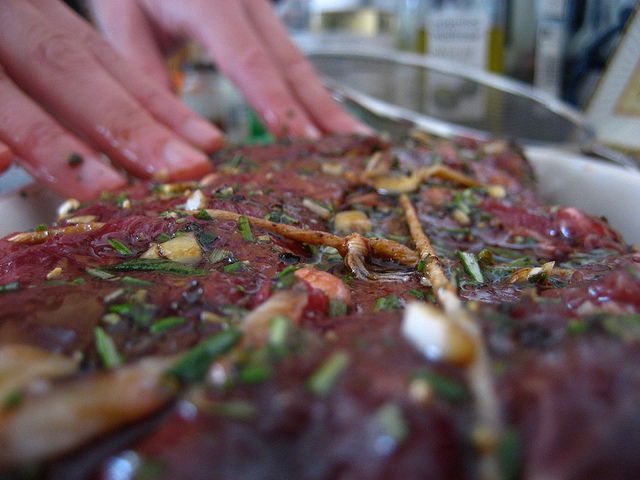 Remove the bird and let it come to room temperature about an hour before you plan to cook. two or three hours before you plan to serve. Before you put the chicken or turkey on the spit mark the location of the grill’s burner with two marks (with a Sharpie Permanent Marker) so you’ll always know exactly where to slide the meat in the future. 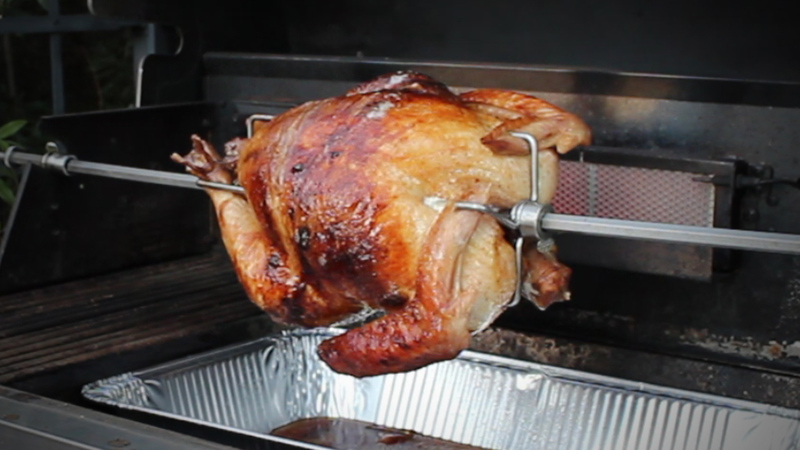 The most important thing to accomplish is to balance and secure the bird firmly on the rotisserie prongs so that the entire mechanism rotates smoothly on the spit. Use trussing to help if needed. 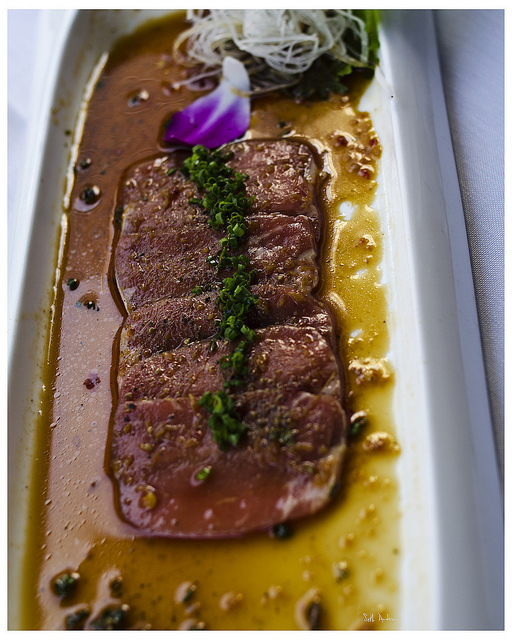 Test it by rolling the spit ends on a flat surface or even on your hands. After you have it on a hot grill it’s very difficult to adjust. Also use pliers to secure thumb screws. You don’t want an end to slide. Finally make sure the spit is secure in the motor mechanism. Confirm there is no way for it to slide out (does it sound like it happened to me?)! After you start the spin and cook come back and sight check everything after five minutes. Let it Cook til golden brown checking infrequently for one to two hours. Our 4.72 lbs chicken took just over two hours. Warmer weather is finally here, and that means it is officially grilling season! There are few things that feel more like summer than standing around a grill with friends on a warm evening. While some people fire up their grill without putting any thought into how they will be cooking their meal, others are dedicated to certain methods and techniques. Some people prefer the convenience of using a gas grill, while others are fiercely loyal to charcoal. Traditionally, grills are designed to cook with either gas or charcoal. If you like to use both fuel sources, hybrid grills are a great solution. There is one advantage that gas grilling has above all other fuel sources: convenience. To start a gas grill, you simply have to turn a knob and press a button. Once lit, you have an easily controllable heat source to cook your food. Gas grills are also relatively easy to clean because there are no leftover ashes. While gas grills are probably the easiest to use, grilling enthusiasts often have one major complaint: a lack of flavor. Pros: Easy to light and control temperature, very little clean up. Cons: Gas adds no flavor to food, and produces a more moist heat. When you burn wood in the absence of oxygen, the remains of this natural process is lump charcoal. One of the great aspects of lump charcoal is how quickly it gets extremely hot. This typically takes only 10 to 15 minutes. Because lump charcoal gets so hot, it can sear foods rapidly. It also produces a very dry heat, which creates that delicious, caramelized crust on the outside of your food. This quick heating process makes lump charcoal great for grilling foods that cook quickly. Once lump charcoal reaches maximum temperature, it loses heat quickly, which can be disadvantage. 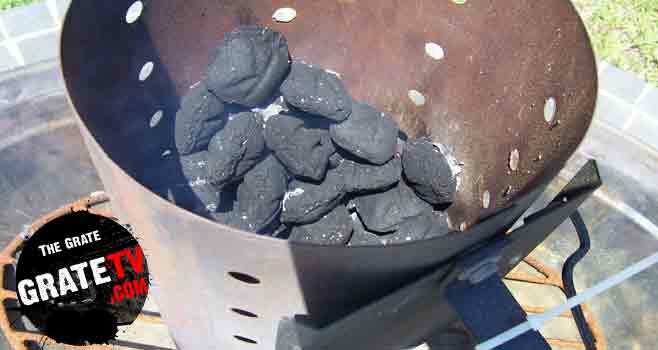 If you want to use lump charcoal and sustain a high temperature, you will need to replenish the charcoal periodically. Because you are using charcoal, there will be ash cleanup involved. Pros: Lights quickly, burns hot, great for searing. Cons: Burns quickly, more expensive, takes time and effort to light. Briquettes are similar to lump charcoal in how intensely they burn, but the similarities end there. One of the easiest ways to discern them is to look at their shape. While lump charcoal is inconsistently shaped, making it difficult to stack, briquettes usually have a uniform shape. 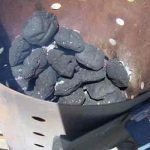 An advantage briquettes have over lump charcoal is that they burn for long periods of time, which makes it easier to cook at a more consistent temperature than lump charcoal. While lump charcoal is created through an all-natural process, briquettes are not. Briquettes typically contain additives that help them light, burn and keep their shape. These chemical additives will give off a distinct smell when they are lit, but if you wait to start cooking until all the briquettes are covered in white ash, that smell shouldn’t transfer to your food. Pros: Burn time, consistent temperature, cheaper. Cons: Chemical smell, ash to clean. This is a guest post by Arianna on behalf of Kalamazoo Outdoor Gourmet. 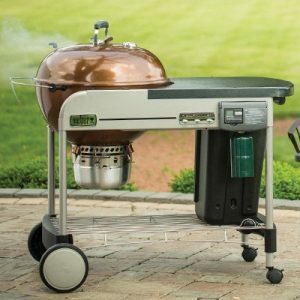 Visit kalamazoogourmet.com to find out more about our hybrid grills. Pizza is not often associated with the world of BBQ. However BBQ Pizza On The Grill can be an easy and fun way to show off your grilling prowess and entertain friends. The first tip is to use a pizza stone. That may sound unusual or expensive but they’re not really. Here are a BUNCH of pizza stones for less than 20 bucks. In our video here we used a pizza stone for a home oven and it works great. Just heat it up slowly to high heat to avoid cracking. Secondly – keep it simple. Pre made dough (gasp!!) is super easy and is usually tastier than what you can make on your own with those little yeast packets that have been in your cabinet too long. Go to your favorite pizza joint and see if they sell dough balls. Probably do. Also, you can pile on the toppings if you want but try to keep your topping layer thin to allow the pizza to cook from the top down too. Lastly, and this could or should have been mentioned first: Dust your pizza peel, your stone and your prep board with a coarse corn meal. It really helps the pizza slide on and off the pizza stone without stretching out of shape. There are lots of ways to BBQ pizza (another method below) but take a look at the video and see if our tips for BBQ Pizza On The Grill can help you too! Barbecue Pizza! Why barbecue a pizza? The simple answer is fast cooking. To make great pizza your pizza should cook fast and fast cooking is one of the secrets to making a perfect pizza pie.The main reason is that barbecues can reach very high temperatures! Some of the best pizzas that I have tasted were cooked in wood burning ovens. For centuries people around the world have been cooking in wood burning ovens. These ovens and also, professional pizza ovens can reach the high temperatures of 800 to 1200 degrees. At these high temperatures a pizza cooks in only 2- 5 minutes. Here are three ways that you can make pizza on a barbecue. 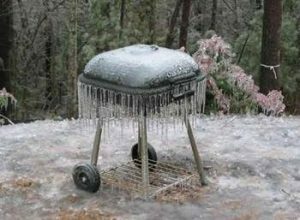 First, Heat your barbecue to the highest temperature that it will reach. My barbecue reaches 600 degrees. Stretch your dough out into a small circle that will fit on your barbecue. 1. Use a wooden peel. (This is a shovel like tool used to put pizza or bread in the oven) First spread cornmeal on your peel. The cornmeal acts like tiny ball bearings helping to slide the pizza off the peel on to the barbecue. Put your stretched dough on your peel and place all your toppings on it. When your barbecue is heated to temperature, use a little jerking motion to slide your pizza off of the peel on to the barbecue grill. This method cooks your pizza directly on the grill. Close your barbecue top and check your pizza in a few minutes. It won’t take long before the crust of your pizza begins to char. You want some charring all around your crust. Be sure to take your pizza out before the cheese starts to burn. 2. The second method that I use is less messy. I stretch out a large piece of aluminum foil and lightly spray olive oil on it. After stretching my dough out, I place it on the aluminum foil. Put your pizza sauce, toppings and cheese on it. Now, crimp the ends of the aluminum foil so that you can grab it and pick up the whole pizza on the aluminum foil. Carry the pizza over to your heated barbecue and place it on the grill and close your barbecue. Check your pizza in a few minutes. 3. 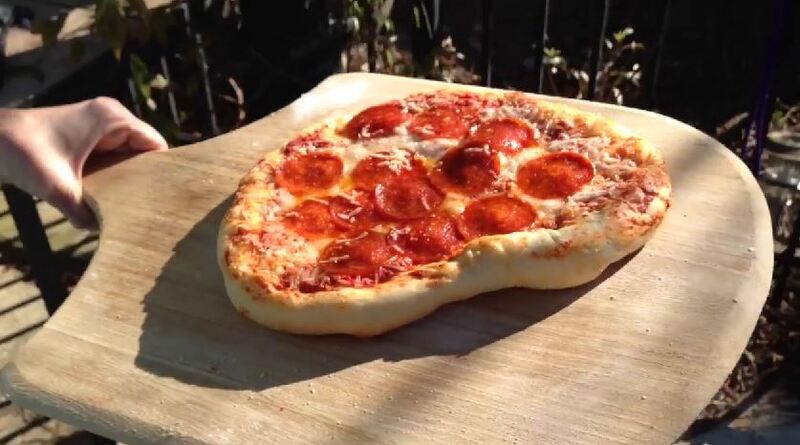 The third way is to use a pizza stone on your barbecue. I have tried fire bricks, clay tiles and pizza stones. They all work fine. Heat your pizza stone in your barbecue for at least 30 minutes before placing your pizza on it. When your barbecue is up to temperature use the same technique of sliding your pizza off of the wooden peel as described in my first method. One typical issue when purchasing a barbecue grill brush is whether or not it will damage your cooking grid. The last thing you want is to scratch the grates of your expensive Weber BBQ. Thankfully, with just a bit of study it is really simple to ensure you purchase the best grill brush for your BBQ. How delicate your grate is, and how susceptible it may be to damage and scratching, is based upon the material the grate is made from. 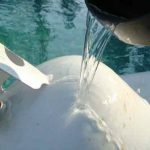 The most tough material that is frequently used is stainless steel. These grates are really strong and resistant to rust and corrosion. Porcelain coated grill grates, on the other hand, are much more delicate. The porcelain coat is relatively brittle and can chip and crack. No only does this minimize the non stick capability of the grate, it also exposes the metal underneath the enamel to moisture. Cast iron grill grates are really tough, however must be kept oiled to stop rusting. Many grill brushes are completely safe for use with most grills, however there is one noteworthy exception. NEVER EVER use a scraper on porcelain coated grill grates! That will definitely lead to you chipping the porcelain enamel. Apart from that, most brushes are fine with most grates. 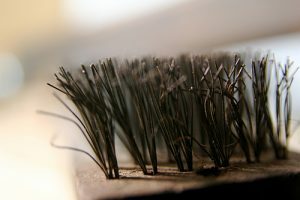 The 2 most typical materials used to make the bristles for BBQ brushes are brass and stainless steel. Brass is softer, so less likely to scratch the grates, however this softness also means the bristles become flattened much more quickly. As a result, brass grill brushes need to be replaced regularly. Stainless steel grill brushes are much more long lasting, as a result of their stiffer bristles. Nevertheless, this extra stiffness means that they can sometimes scratch the grate. This is why people often recommend brass brushes for porcelain enamel coated grill grates. So which sort of brush should you purchase to clean your porcelain enamel coated grill grate? My recommendation is to go for a stainless steel grill brush with bristles thin enough that they don’t cause damage. The usual belief that you can only use brass bristled brushes for porcelain enamel coated grates is not in fact true. Many stainless steel grill brushes are completely safe to use. Because they will certainly last longer compared to brass brushes, my recommendation is to go with one of these. That way, you get a brush that will not only safely clean your barbecue, but will also last a very long time. To get even more life out your BBQ brush, only use it when the grate is hot. This will make it easy to clean, enabling you to use much less pressure, which ultimately means that your bristles will remain in great condition longer. Stan Lew is a food enthusiast, with a special love of the barbecue. Visit the following site to read grill brush reviews. Alternatively you can read some grill brush reviews on Amazon here.